At the FESPA show in Berlin recently, HP launched its new Designjet Z series of large format printers. Here at Northlight the Z9+ is of definite interest, being aimed at high end photo reproduction. Back in 2009 Keith reviewed the excellent HP z3200ps and has been wondering ever since, what might follow it. At some point we hope to add the Z9+ to our large collection of printer reviews. The market for large photo merchandising grew seven percent in 20171 with nearly 1.3 trillion photos taken in the same year2. The demand for simplicity and unrivalled photo quality is growing, fuelling the need for printing solutions that remove bottlenecks and increase time savings. The new HP DesignJet Z6 and Z9+ Printer series is designed to easily maximise printing performance for amazing photo output. By tightly integrating the materials, hardware, and software together, the new printers offer amazing photo quality and print permanence with fewer inks to simplify manageability and reduce costs. New vertical trimmer is featured on select models to optimise output in addition to other innovative technologies for rapid high-quality production from professional photo quality prints to retailer signage. The result is printing 2.5 times faster3 and post-production 20 percent faster4. 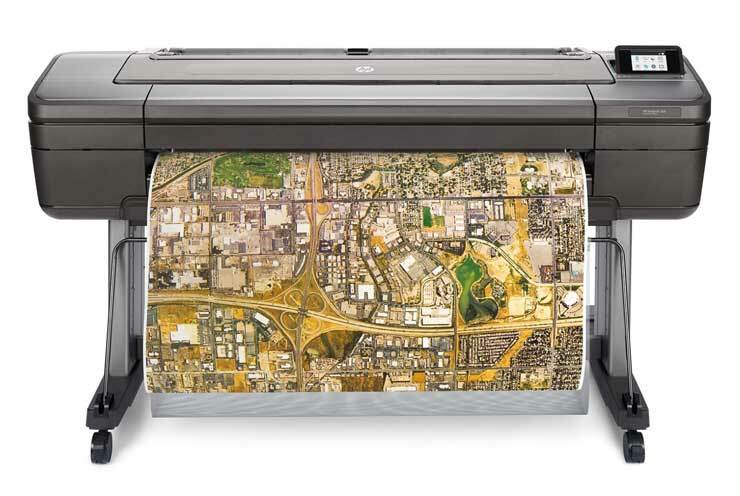 HP DesignJet Z Printer series, both available in 24- and 44-inch formats, are built to give PSPs a competitive edge by enabling the fastest printing capabilities available on the market today. As an industry first, the HP DesignJet Z6 and Z9+ offer a premium option with onboard vertical trimmer for fast and efficient production. New color technology, HP Pixel Control, now for the first time manages colors in a truly digital way to help customers embrace new opportunities for colour-rich and dynamic printing. HP Pixel Control: Achieve true-to-colour prints and an expanded colour gamut with RGB HP Vivid Photo Inks, featuring chromatic red, chromatic green, and chromatic blue, the i1 embedded spectrophotometer5 and HP Pixel Control. HP Pixel Control is truly digital colour pipeline designed for outstanding, consistent image quality delivered by controlling every print-ready pixel. Combining HP HDNA with HP Pixel Control, users get amazing image quality with just nine inks versus 12 compared to the previous generation HP DesignJet. The new printers also offer HP Professional PANTONE Emulation to match Brand identity colors. Dual drop technology: Produce prints with clear details and high-contrast colour with dual drop technology powered by HP Nozzle Architecture (HDNA) and high-definition printheads. 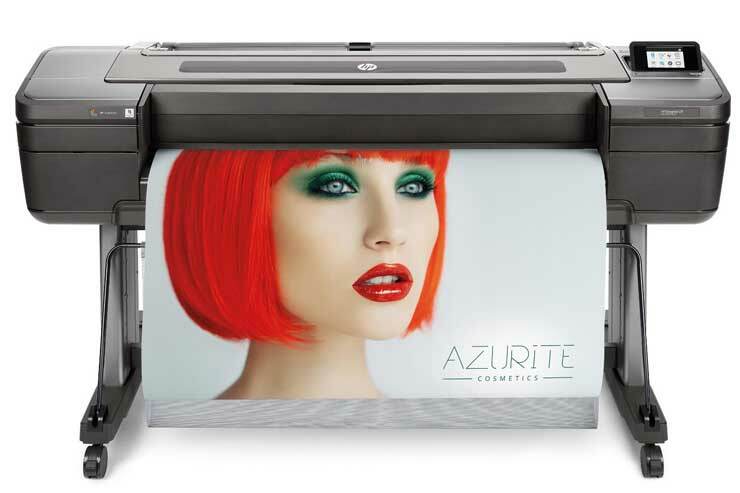 The HP DesignJet Z9+ features an upgradable configuration for a higher gloss output6. The HP DesignJet Z6, Z6x10, and Z9+ Printers are expected to be available on June 1, 2018. 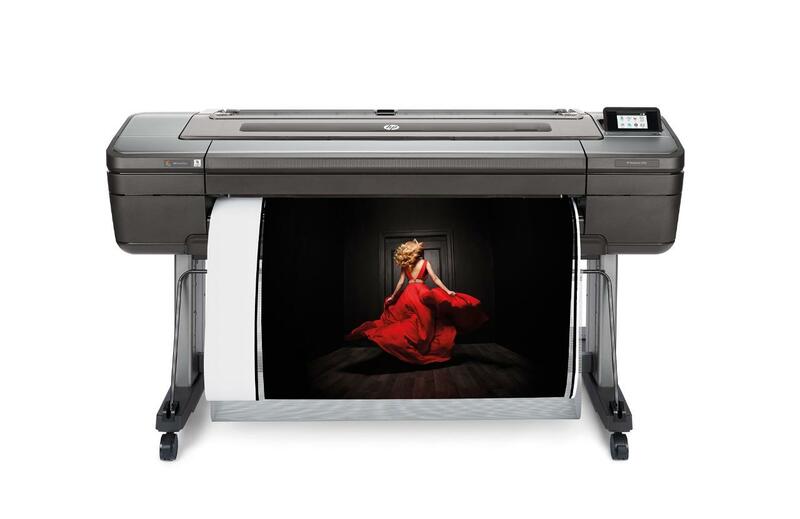 The 44-inch HP DesignJet Z6 and Z9+ with dual roll and vertical trimmer are expected to be available on July 1, 2018.
compared to the HP DesignJet Z3200 Photo Printer series. May vary depending on print mode and media type. Vertical trimmer and dual rolls included with the HP DesignJet Z9⁺dr 44-in PostScript® Printer with V-Trimmer only. Up to 20% reduction in post-processing labor time based on internal HP testing compared to HP DesignJet Z9⁺dr series printers without built-in vertical trimmer. Embedded in the HP DesignJet Z9⁺ Printer series is an i1 spectrophotometer from X-Rite. Close collaboration between HP and X-Rite ensures a reliable solution that’s been thoroughly tested to meet customer demands for ease, quality, and dependability. Based on internal HP testing April 2018, tests on mechanical printing time, comparing to HP DesignJet Z9⁺ series printers without gloss enhancer. HP Gloss Enhancer can be used on photo paper, except for matte-finish papers. Optional upgrade available second half 2018. Requires an HP Applications Center account, Internet connection, and connected Internet-capable device. For more information, see http://www.hpapplicationscenter.com. Pricing and availability subject to change.Adobe PDF Print Engine is a registered trademark of Adobe Systems Incorporated in the USA and/or other countries.© 2018 HP Development Company, L.P. The information contained herein is subject to change without notice. The only warranties for HP products and services are set forth in the express warranty statements accompanying such products and services. Nothing herein should be construed as constituting an additional warranty. HP shall not be liable for technical or editorial errors or omissions contained herein.